• Is your sliding glass door hard to open? • Does your sliding screen door need new screening? • Does your sliding glass door making grinding sounds? • Do you need new hardware on your sliding door? • Would you like your slider door to slide like brand new? We Offer The Best Prices ! Let Us Help Save You Money ! If you are looking for the absolute best sliding glass patio door repair company in the Tampa Bay Area, you've just found it. We at Tampa Sliding Door Repair know the sliding glass door business inside and out. Our convenient mobile service make us the perfect choice for all of your sliding glass door repair problems. Our reasonable prices are far less expensive than the cost of purchasing a new set of sliding glass doors. 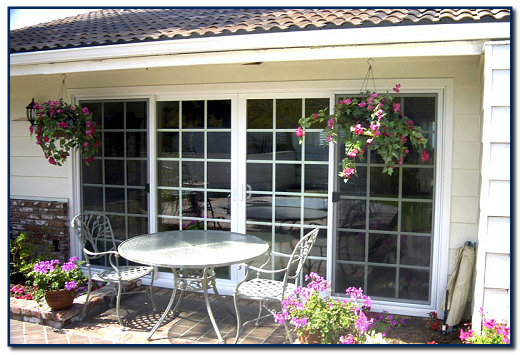 We make the task of repairing your sliding glass doors easy. We carry all of the original replacement parts and with one simple phone call our expert service technicians will have your sliding glass door gliding like brand new. How many times you sat around all day waiting for a repairman to show up? Well, with Tampa Sliding Door Repair, you set the appointment time that's convenient for YOU! That's right, you set the appointment time and we'll be there on time. Every time. That's our guarantee. So, if you want great prices and professional sliding glass door repairs with original replacement parts, call Tampa Sliding Door Repair!